Nothing says summer fun like Gildan Bullseye Tie-Dye Tee and this one's right on target. Great for family reunions, picnics, cookouts, team sports and other summer events! 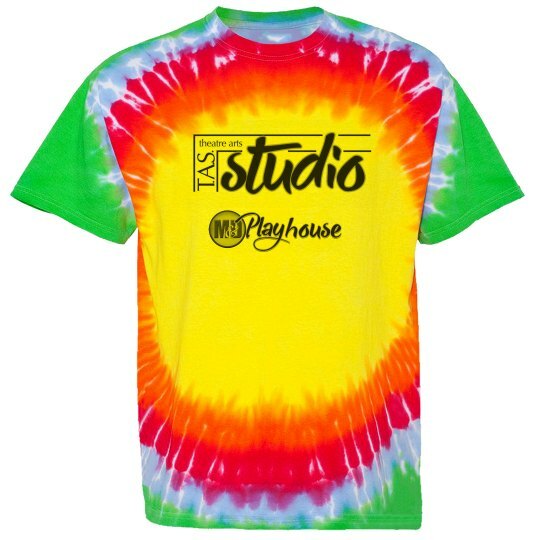 Make sure you check out the matching Youth Gildan Bullseye Tie-Dye Tee. Each shirt is individually hand tied and dyed which means the tie dye pattern will vary from shirt to shirt. No two shirts are alike. The center yellow shape on the chest and back will vary on each shirt. Where the design overlaps the tie dye, the pattern of the dye will tend to show through the ink a bit. White ink is not available for this item. If our art or your upload contains the color white, it will not print and be reflected as the color of the item.